Axcel Gases is a renowned Oxygen gas manufacturer, supplier and exporters, both in liquid and compressed Gas forms. Oxygen is a highly reactive non metallic oxidizing agent, is tasteless, odorless, colorless and nonflammable gas present in atmosphere at a concentration of 21 % by volume. It has got a boiling point of -182.9°C (-297.3°F). Oxygen is vital to life on earth for any living being. Commercial Oxygen Gas is produced by Cryogenic Distillation/air separation plants which condenses air and distills liquid Oxygen. 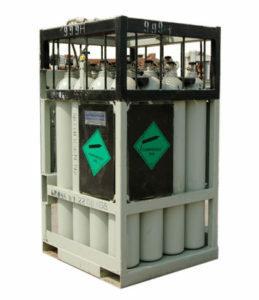 This liquid Oxygen further converted into gaseous Oxygen at room temperature and is being stored in Oxygen Gas Cylinders for any further industrial / lab grade applications. For some applications where continuous and high quantity of O2 gas is required to be feed, We make use of O2 gas cylinder quad which is nothing but number of cylinder interconnected and having common outlet. Some process also requires using Oxygen in Liquid Form only. 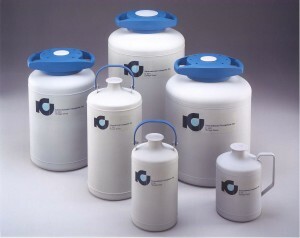 For such process or applications, Liquid Oxygen is stored and supplied in special vacuum insulated containers called Cryogenic Containers or Cryo Cans or Dewars. There are different sizes of Cryo Cans available depending upon volume of liquid stored in it. Oxygen is a non flammable gas which does not burn on its own but it helps in burning. Apart from this, Oxygen is source of living for any living being as it is being used for breathing purpose. 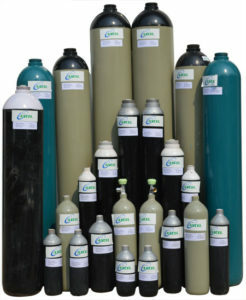 Oxygen gas and Oxygen liquid are available in different purity grades and concentrations to meet the specific requirement of diverse industries. We have in house laboratory equipments to check the level of purity as well as various impurities present in it. As breathing gas vital to the need of any living being. As a mixing gas in metal cutting or brazing or welding process when mixed with Acetylene or LPG/Propane/Butane. As an assist gas in Plasma Cutting or laser cutting process. As an impurities remover in smelting process. Helps in removing impurities of sulfur and carbon from the molten metal during the making of steel from iron ore.
As a rocket fuel in aeronautical or spacecraft industry. As a main reactive agent in many chemical industries to make various industrial or lab grade chemicals like Ethylene Oxide, Glycols and polymers. As a main constituents to increase production and decrease impurities of NOx in Glass manufacturing Industry. These are some of the common uses of Oxygen. There are various other ways in which Oxygen can be used in a particular industry or process.